"Aura to mission control: This is Captain ZCerberus. Orders received, and coordinates plotted and laid in. Time to roll the hard six..."
"Good hunting, Captain. Control out." Or something to that effect. That's what I figure builder ZCerberus might say aloud when getting ready to swoosh this baby around his living room. And a few blaster noises, naturally. Anyway, zoom in to see all of the details; from color blocking to greebles. Lots to enjoy! 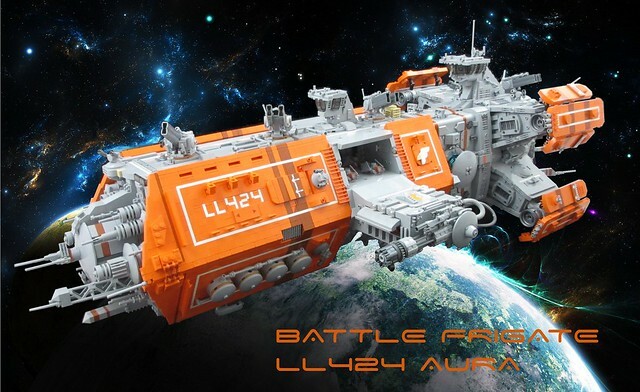 SHIP, Spaceship, orange, pew pew!